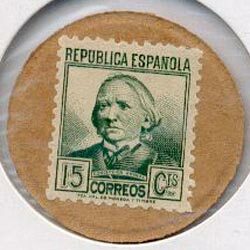 15A. 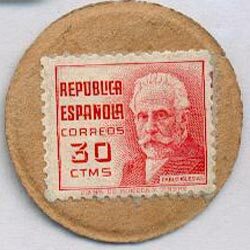 30 céntimos. 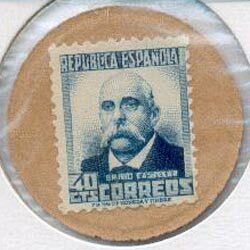 Pablo Iglesias. Rep. Esp. 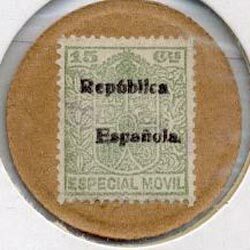 en una línea. 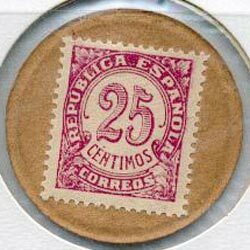 25A. 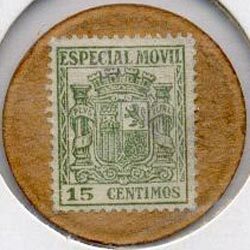 15 céntimos. 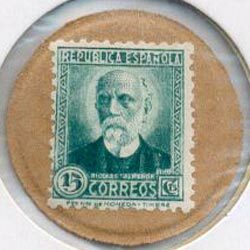 Verde. 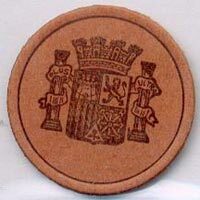 Ex - Libris. 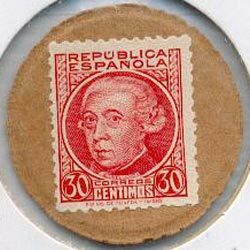 L. V.
Además de la colección española han surgido otras variantes de las que hablaremos en breve. 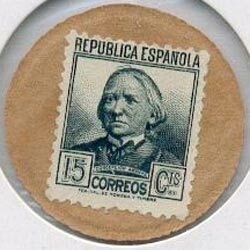 Se cree que son falsas, nosotros las expondremos y después, juzgaremos. 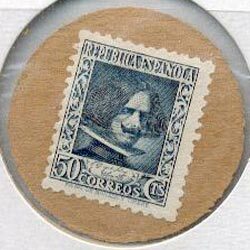 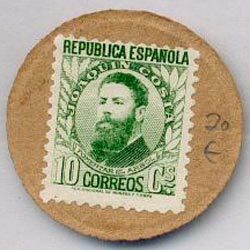 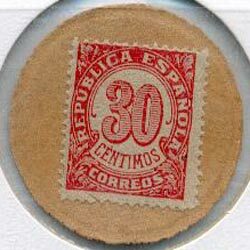 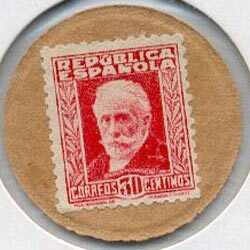 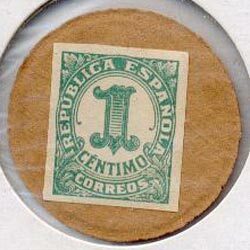 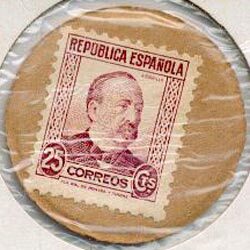 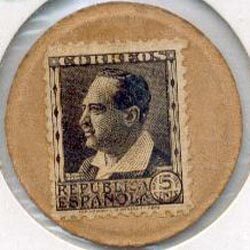 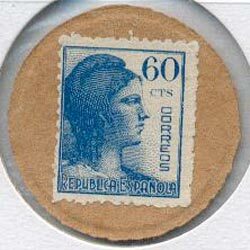 Cardboard disks, Spanish coat of arms and drawings of different Spanish town printed on face, back affixed w/postage stamps or revenue stamps. 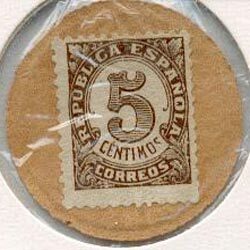 Initially issued only by Ministry of Finance, later also by the banks as small change. 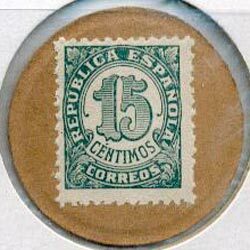 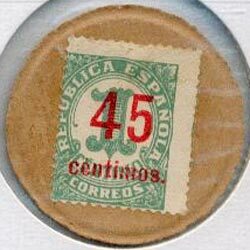 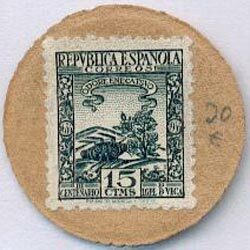 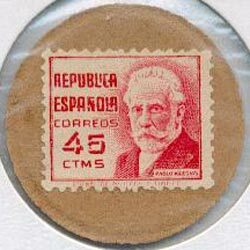 The decree of 24.2.1938 authorized the use of 5 and 25 céntimos postage stamps (correos), and 10 and 15 céntimos revenus stamps (especial movil), to be affixed to cardboard disks. 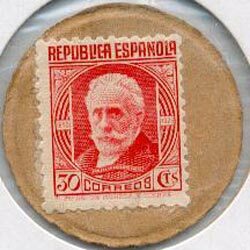 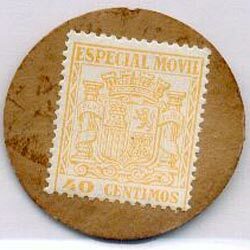 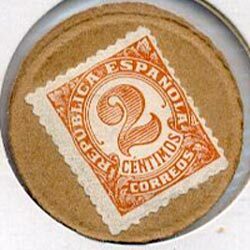 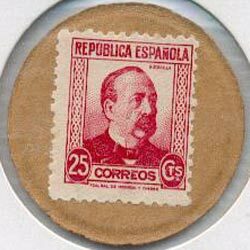 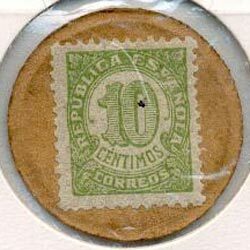 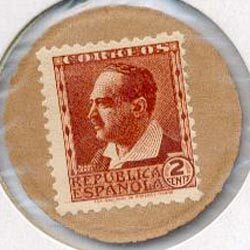 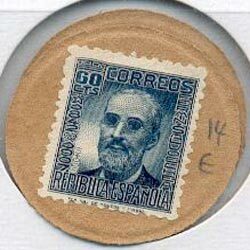 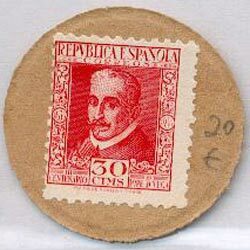 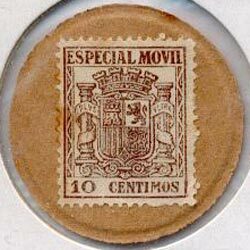 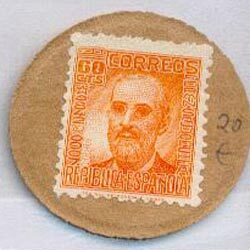 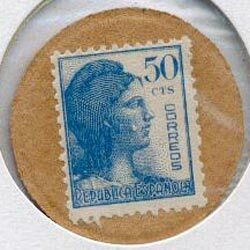 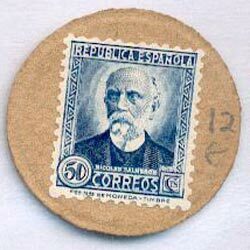 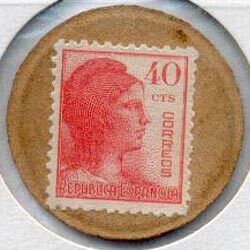 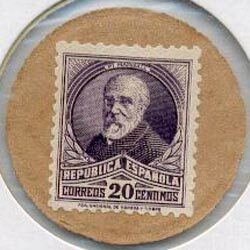 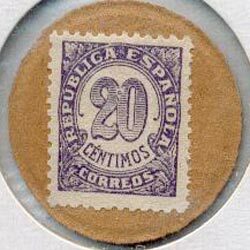 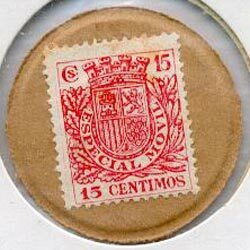 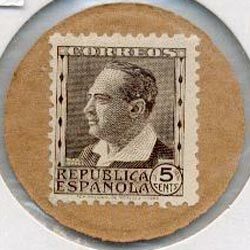 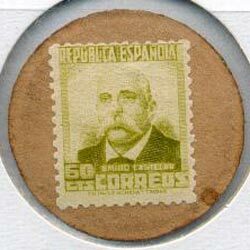 A later decree, of 22.10.1938, authorized the 10 céntimos postage stamp as well because of color confusion with the revenue stamps of that denomination. 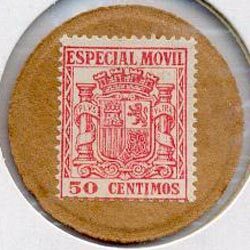 Specific design types are not mentioned in the decrees; thus only the denominations themselves under their respective categories can be listed. 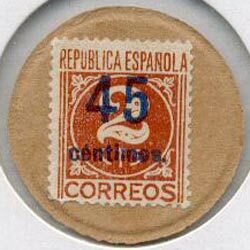 Many other types and denominations were affixed to the disks and circulated; however, all of these must be considered unofficial.